Devi or Goddesses form an integral part of Hindu Mythology and Indian fiesta - Goddess Durga being one of the most powerful and revered. This autumnal festival popularly known as Sharodotsav, recalls the power of female Shakti (power) symbolized by the Goddess Durga who slays Asuras (a group of power-seeking deities) to re-establish peace and sanctity on earth again. The fortnight of Devi Paksha marks the festival of Durga Puja, Durga Pujo, Durgotsava or even Dussehra. 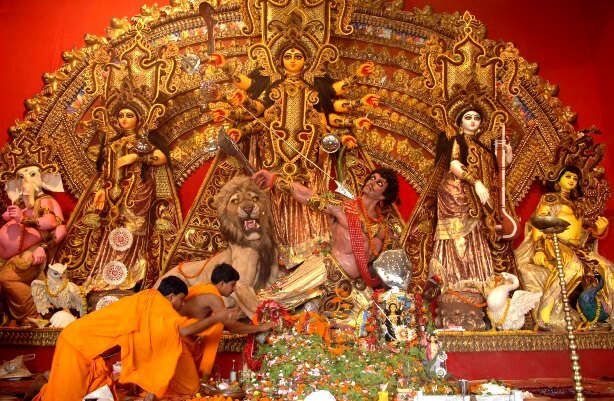 Durga Puja also coincides with Navratri, a festival that is celebrated in Gujrat for nine consecutive days. 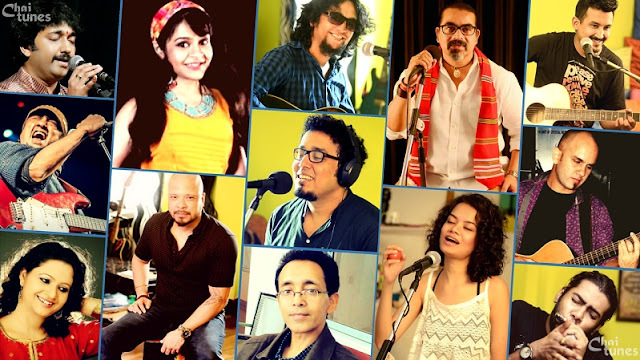 Mahalaya, a day to remember to the departed souls is observed a couple of days ahead of Durga Puja, marking the onset of a week long celebration. Durga Puja celebration spreads across the five days of Shashthi, Maha Saptami, Maha Ashtami, Maha Navami and Bijoya Dashami. The inauguration starts on Mahashasthi. 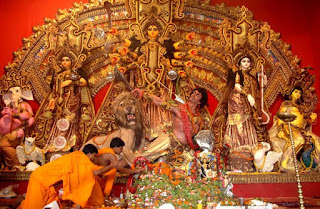 The main puja is for three days - Mahasaptami, Mahaastami, Mahanavami. The puja rituals are long, meticulous and complicated. Three days of Mantras (words for spiritual transformation), Shlokas (verse) and Arati (prayer) and offerings - needs an expert priest to perform such kind of Puja. After the three days of Puja, in Dashami , in the last day, the idol of Goddess is taken for Visharjan (immersion in the sea or river) to give her a grand send off. According to Hindu Mythology, Mahisasur, the Buffalo Demon, through years of meditation, received a boon from Lord Brahma, that no power can kill him; which means he is invincible. Once the power was bestowed upon him, he went on a rampage killing people. The power hungry asura (demon) took off on a pursuit to uproot the gods and conquer the heavens. The Gods in dismay amalgamated their individual divine powers and created as startlingly beautiful maiden Durga. She has ten hands to hold the most potent weapons of her creators in each of her hands and rides a lion. Goddess Durga’s return in each year in the month of Aswin (September-October) according to the Hindu Calender, commemorates Rama's invocation of the goddess Durga before he went into battle with Ravana. The tableau of Durga with her four children - Kartik, Ganesh, Saraswati and Lakshmi, representing respectively the Protector, the Initiator of the puja, Knowledge and the Provider - signifies the complete manifestation of Goddess Durga. Durga Puja is widely celebrated in the Indian states of West Bengal, Bihar, Assam, Jharkhand, Orissa and Tripura and with a five-day annual holiday. In West Bengal and Tripura it is the biggest festival of the year.